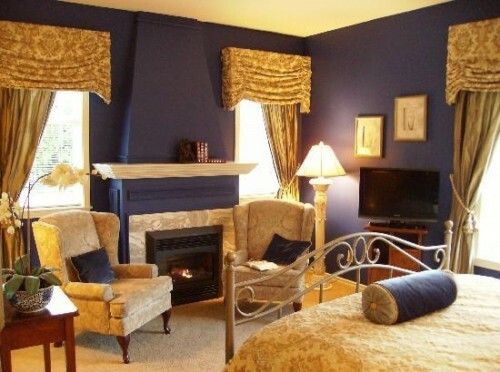 5-Star B&B luxury in the heart of Sidney British Columbia! 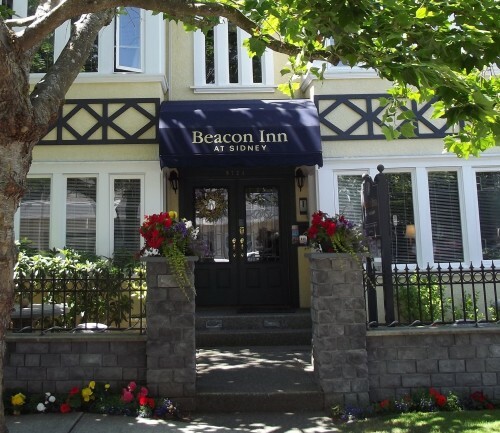 The Inn is centrally located in quaint Sidney by-the-Sea, close to Victoria, Butchart Gardens, BC Ferries (to Vancouver and Gulf Islands) & WA State Ferries (to Anacortes, WA) and the Victoria Airport. 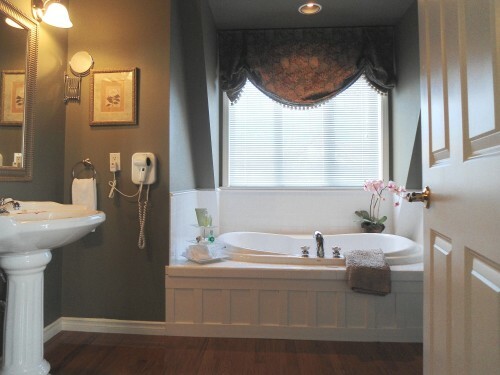 Charming, Edwardian inspired, mock-heritage B&B accommodations, individually designed guest rooms with queen feather-beds, comfortable sitting areas, HD flat-screen TV’s, CD players, gas F/P’s, A/C and spa-inspired en suite bathrooms. 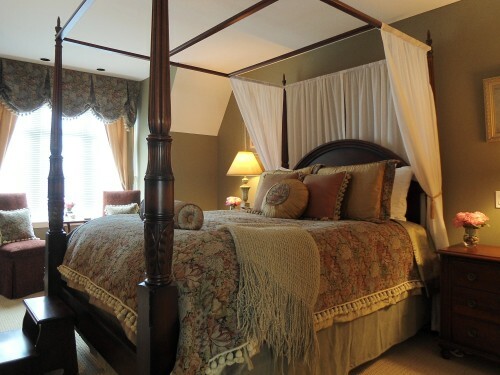 B&B Stays include a complimentary set-menu gourmet breakfast at your choice of one of 2 set times. Located walking distance to Sidney’s many unique shops, restaurants, coffee houses and the spectacular Sidney waterfront. 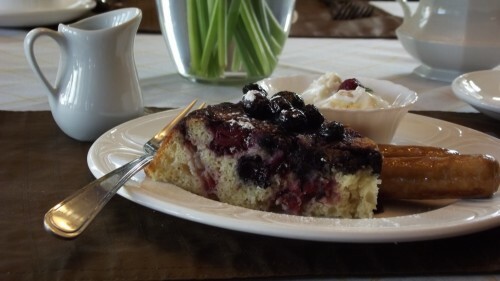 Free WiFi access throughout with guest laptop and printer in lounge. Free parking & free local calls. 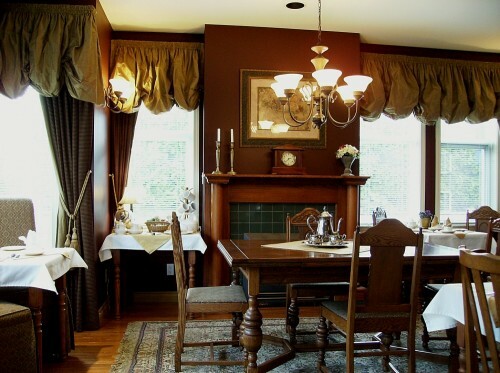 The B&B Common area has a guest fridge & coffee/tea/snack station. Complimentary afternoon sherry in our comfortable guest lounge. 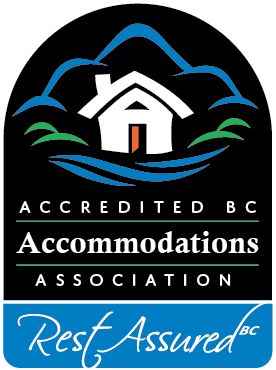 Adult oriented, welcoming children 12 years or older. Mock-heritage building. 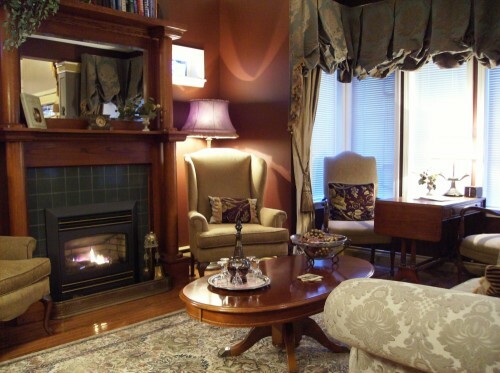 Named one of Victoria’s most romantic Inns, as well as one of Canada’s Top 10 B&B/Inns for 2014! 48 hours advanced notice is required to cancel or revise bookings. Should you cancel or revise your dates of stay without 48 hours prior notice, you will be charged for one nights stay as a penalty.Group bookings (3 or more rooms) and extended stay bookings 4 or more nights are subject to a minimum 14 day cancellation policy, as determined by management at time of booking.